Last summer there was a shortage of pine nuts at my local grocery store. The store manager told me there had been a recall (something about Salmonella) and they wouldn't have any in stock for a while. Ugh! 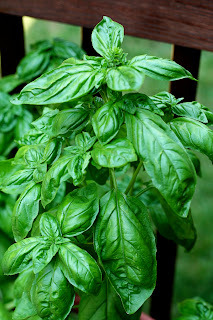 I had no idea what I going to do with ALL the basil I had grown! My plan was to make and freeze a ton of it. I racked my brain about what I could substitute for the pine nuts. Pecans? I certainly had a lot of them in my pantry. It turned out to be fabulous! 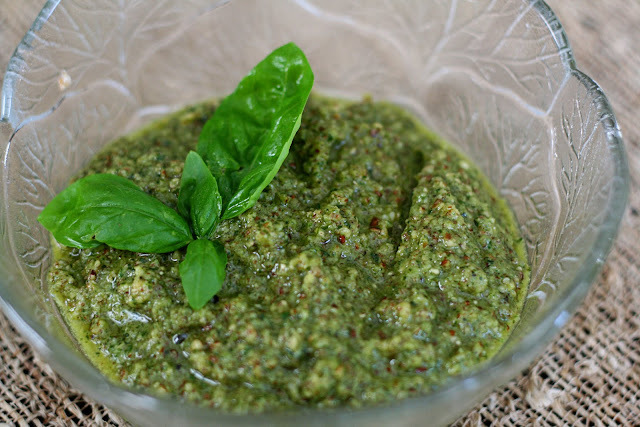 This has turned into my go-to pesto recipe. As an added bonus, pecans are more budget-friendly than pine nuts. And since I am a Southern girl, I feel the need to give everyone out there a lesson in the proper way to pronounce the word 'Pecan.' Because you know, there is only one proper way to say it! Last weekend I noticed that my basil plants were starting to flower. It was time to make pesto again! I like to make a lot at once and freeze it. There are many, many different ideas about the best way to freeze pesto, but using ice cube trays is my favorite. Just fill up the trays, cover with plastic wrap and freeze. 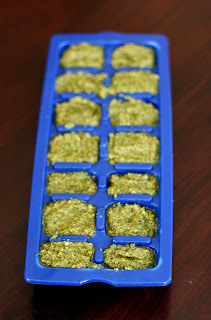 Once frozen, pop out the cubes of pesto and store in freezer bags until you're ready to use them. They defrost very quickly and you can take out just as many as you need! 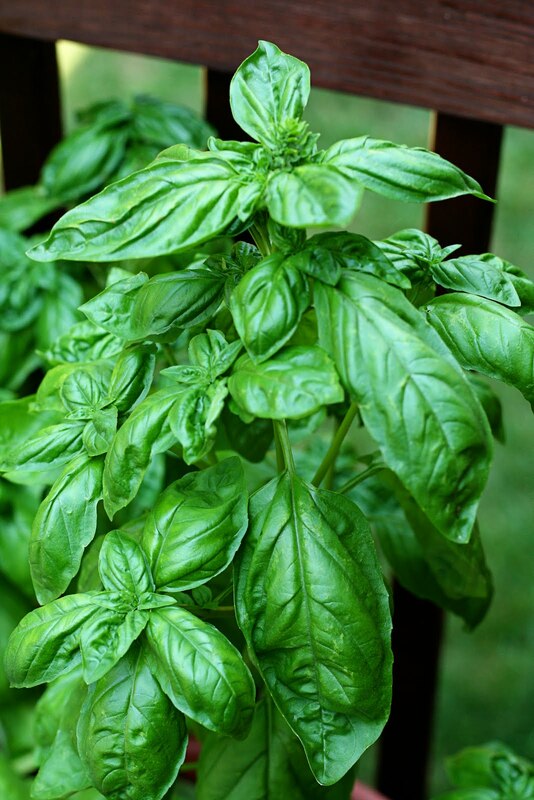 In a food processor or blender, blend together basil leaves, garlic, pecans, parmesan cheese. Slowly pour in the olive oil while still mixing. Add salt and pepper to taste and mix again. Ate some of this yesterday. Broiled a half of a sesame seed hamburger bun with the pesto on the top - DElicious!! Love pesto, love that you can freeze it to use at the drop of a hat. It definitely makes for a quick meal! I added it to some leftover spaghetti noodles for lunch yesterday - delicious! The Mah-Jongg Girls really enjoyed this Tues. night at the beach! We used Italian bread, spread the pesto on top, and broiled in the oven.